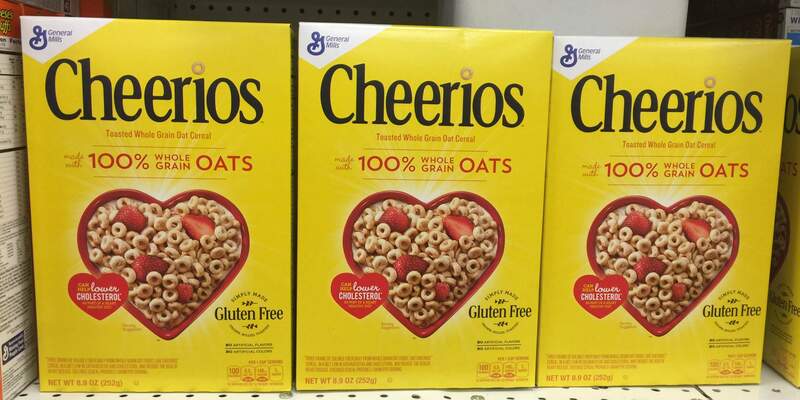 Running 5/19 – 5/25 Stop & Shop, Giant, and Martin Have General Mills Cereals on sale for $1.99 each. We have a Regional $0.75/1 General Mills: al comprar Una Caja de cereales General Mills De Cualquiera de los siguientes sabores: Cinnamon Toast Crunch, Honey Nut Cheerios, Cocoa Puffs,Lucky Charms, Trix, Kix & Dora the Explorer, from the 4/09 Regional Smart Source insert available. 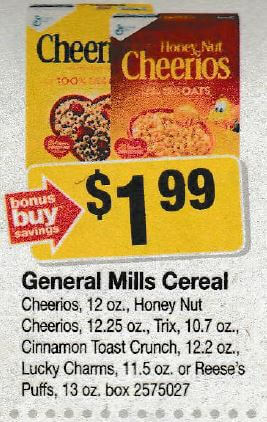 We can Pick up the Honey Nut Cheerios, Trix, Cinnamon Toast Crunch or Lucky Charms for just $0.49 each after coupon! We’ll only have 2 days to do this deal as the coupon is set to expire 5/20! as low as $0.49 each after coupon!